In the family SUV segment, many of the vehicles have boring and bland styling. 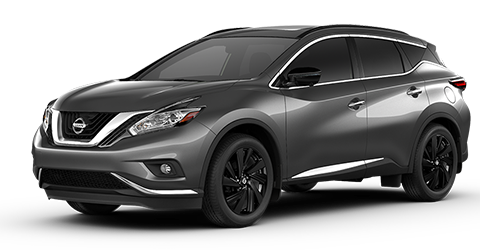 The 2018 Nissan Murano is the exception to the rule in this class. It has aggressive yet sleek styling that will turn heads wherever you are. If you’re in the market for a family SUV, it doesn’t have to be boring. You can still get the kind of car that will make your heart beat a little bit faster every time you see it. As stylish as the Nissan Murano is, it is not a case of style over substance. The substance of the Nissan Murano includes several exterior features that are hard to find in competitors. For example, it has standard body color side view mirrors with integrated turn signals, unlike the Toyota 4Runner or the Honda Pilot. 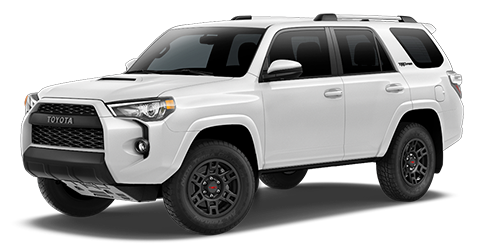 It also has standard 18-inch wheels, which are bigger than the puny standard wheels fitted to the Toyota 4Runner. Visit our Bob Moore Nissan dealer in Oklahoma City today and test-drive the stylish 2018 Nissan Murano. The 2018 Nissan Murano also has a standard rearview camera that makes parking and backing out much easier and safer. This camera feeds to a high-resolution display in the cockpit of the Nissan Murano and automatically turns on when reverse is engaged. Drivers looking for a safe family SUV at an Oklahoma City car dealership can visit Bob Moore Nissan today. Test-drive the Nissan Murano and discover the difference for yourself. The Nissan Murano offers the sort of exhilarating performance that will surprise drivers used to more boring family SUVs. 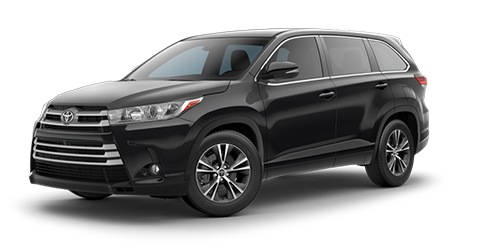 Competitors like the Honda Pilot, Toyota 4Runner, and Toyota Highlander offer lethargic performance and a boring driving experience. In contrast, the Nissan Murano offers spirited driving dynamics that’ll put a smile on your face every time you take it out, even if it’s just for a routine errand or your daily commute. The heart of the performance in the Nissan Murano is the standard 3.5L V6 engine, which kicks out 260 horsepower, making it more powerful than the Toyota Highlander. The standard CVT optimizes fuel economy and provides a smooth power delivery. The Nissan Murano is equipped with standard front-wheel drive, providing a safer and more predictable driving experience than the standard rear-wheel drive in the Toyota 4Runner. The Nissan Murano also offers optional all-wheel drive, which provides enhanced traction in the inclement weather sometimes seen in the Oklahoma City area. Take the Nissan Murano out for a spin at Bob Moore Nissan today. Experience a sporty and fun-to-drive family SUV. The interior of the 2018 Nissan Murano is every bit as stylish and well-equipped as the exterior. It is also comfortable and spacious. Competitors like the Honda Pilot and the Toyota Highlander and Toyota 4Runner models cannot compete with the practicality of the Nissan Murano’s interior features. Nissan even thought of the little details when they were designing the Nissan Murano’s interior. The new Nissan Murano has standard armrest storage, unlike the Toyota 4Runner and Toyota Highlander. The spaciousness of the 2018 Nissan Murano may be its most underrated aspect of excellence. The Nissan Murano has more passenger volume than the Toyota 4Runner. 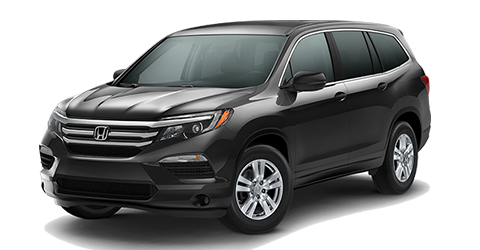 It also has more rear legroom than the Toyota Highlander, so your friends and family will have plenty of space when they ride with you too. If you’re in the market for a new Nissan, Oklahoma City drivers need to look no further than Bob Moore Nissan. We have numerous Nissan Murano models in stock and ready for you to test-drive. The icing on top of the cake for a 2018 Nissan Murano is the excellent technology offered. Nissan has listened to the desires of consumers in designing the technical layout of this vehicle with features that make the everyday driving experience of the 2018 Nissan Murano easier and more fun. The Nissan Murano is one of the few SUVs in its class to offer standard GPS navigation. It also offers standard SiriusXM™ satellite radio, which is only available as an expensive option on many competing vehicles. Finally, the Nissan Murano offers the available Android Auto™ and available Apple CarPlay™ features, which allow drivers to link their smartphones to the Nissan Murano and use compatible apps. Drivers in Norman and the rest of the Oklahoma City area can give the tantalizing technology in the Nissan Murano a whirl. Schedule a test drive at Bob Moore Nissan today.